Are you inadvertently making your bread with added herbicide? Nearly two thirds of UK cereals, wheat and barley are sprayed with glyphosate. 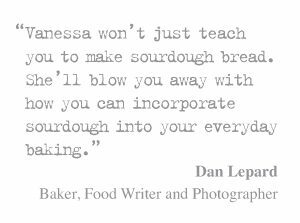 I was asked not long ago why I used organic flour to make sourdough. One of the key reasons I that I am committed to using organic flour in sourdough is because the long term implications of ingesting Glysophate in our bread are not yet understood, but I am willing to bet that you would be shocked that Glysophate is sprayed on over two thirds of UK wheat as a pre-harvest weedkillers and used to kill the crop essentially to ripen it faster. The residue is in the grain we mill into flour and it is in our bread. So What is Glysophate ? Glyphosate is a broad spectrum herbicide used extensively in farming, but you might recognise it as the weed management of public spaces such as parks and other urban areas to kill weed. It is available for use to the domestic market. Monsanto brought it to market in the 1970s under the trade name Roundup. In 2000 Monsanto’s last commercially relevant United States patent expired therefore it is now available from many different companies at a variety of strength, formulations and under many different brand names. How does it work? Glyphosate kills weeds by blocking the enzyme pathway enolpyruvylshikimate-3-phosphate synthase (EPSPS). The EPSPS enzyme comes at the start of the shikimic acid pathway that converts simple carbohydrate precursors derived from glycolysis and the pentose phosphate pathway to aromatic amino acids and many other important plant metabolites. Monsanto states that glyphosate has a history of 40 years of safe use, that it is not toxic to mammals and decomposes fast in soil. Farmers I have spoken to argue that glyphosate is an essential tool for weed management, and is better for the environment than other management practices such as tillage to control weeds. In 2013, Friends of the Earth Europe commissioned an independent laboratory in Germany to test urine samples from people in 18 European countries for glyphosate. 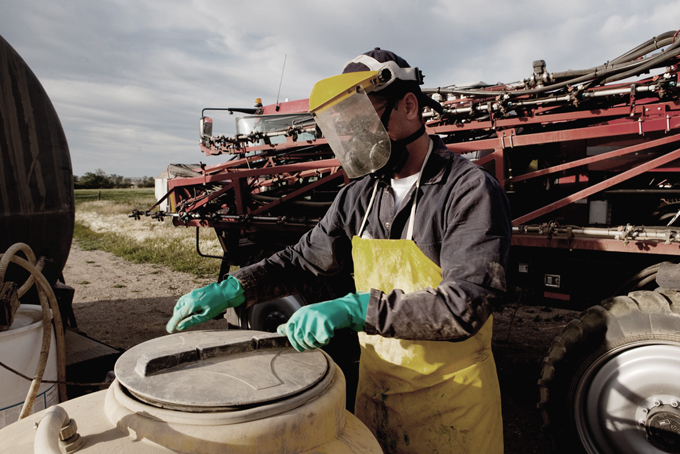 The results showed traces of glyphosate in an average of 44% of samples. However this study showed that in the UK 70% of people had traces of this weedkiller in their urine. The alarming statistics: World wide usage of glyphosate use has increased more than 20-fold since 1990, according to the Center for Biological Diversity (CBD). The conservation advocacy group says this upsurge is largely due to the widespread adoption of genetically engineered “herbicide tolerant” crops, particularly corn and soy, which can withstand an otherwise fatal dose of glyphosate. In 2013, nearly a third of UK cereals, wheat and barley, were sprayed with glyphosate – a total of just over one million hectares. So what is being done? Well not much by the government as far as I can work out. 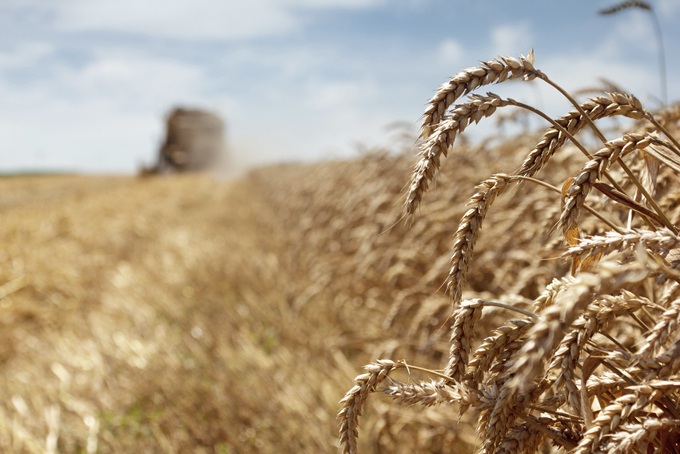 The Soil Association however, is calling for a UK ban on the use of glyphosate sprayed on UK wheat as a pre-harvest weedkiller and its use to kill the crop to ripen it faster. New figures analysed by the Soil Association from government data were released at a scientific briefing in London on 15 July 2015. This revealed that glyphosate use in UK farming has increased by a massive 400% in the last 20 years and it’s one of the three pesticides regularly found in routine testing of British bread – appearing in up to 30% of samples tested by the Defra committee on Pesticide Residues in Food (PRiF). The levels of glyphosate found in bread are well below the Maximum Residue Level (MRL) set by the EU. The ban cannot come soon enough for me because the truth is that no one can say with certainty if glyphosate is safe as long-term human feeding trials have simply not been done. The evidence has been drawn mainly from studies of agricultural exposures. Other evidence, including from animal studies, led the World Health Organisation’s International Agency for Research on Cancer (IARC) to its “probably carcinogenic” classification in March 2015. Prof Christopher Portier, one of the co-authors of the recent report by the World Health Organisation’s International Agency for Research on Cancer (IARC), which determined that glyphosate is a probable carcinogen, said at the launch of the report, “Glyphosate is definitely genotoxic. There is no doubt in my mind.” Glyphosate has been linked to tumours in mice and rats – and there is also what the IARC classifies as “mechanistic evidence”, such as DNA damage to human cells from exposure to glyphosate. Research indicates that chronic, low-dose exposure to glyphosate can cause liver and kidney damage, and studies have pointed to glyphosate as a leading cause of the decline in monarch butterflies. Five things you can do straight off. 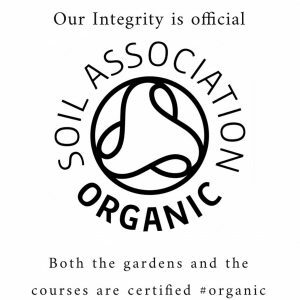 First sign the Soil Association petition. It is a small act, but every voice counts. Secondly don’t wait for the UK catch up with the evidence. 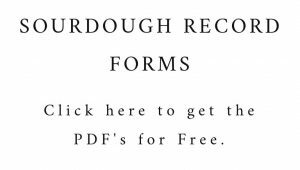 The only way to avoid glysophate is to bake your sourdough using organic flour. There are lots to choose from \stock some wonderful British stone ground Organic flour so vote with your wallet and buy organic flour. Buy heritage grain grown without the use of agrochemicals such as John Letts Lammas Fayre. 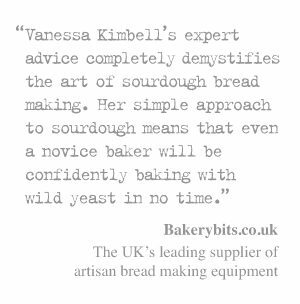 Thirdly you can support your local artisan baker. 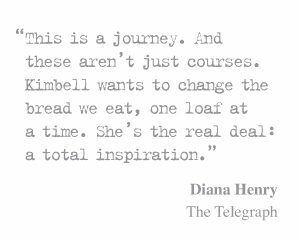 Pop in and buy an organic sourdough, chat to the baker. Make a noise. Share this information. Post it into your Facebook timeline, re-tweet it, or email this to your friends and family. Share the post "Nearly two thirds of UK cereals, wheat and barley are sprayed with glyphosate." An excellent and most helpful article. I have long suspected that “gluten intolerance” might arise because the gluten is poisoned. Has anyone tested to see how those classed as “gluten intolerant” react to organic gluten? I also suspect that gluten is a scapegoat for many of the allergies caused by the modern wheat and bread production. Excellent and informative article. This post has me determined to follow my “organic-only” flour purchases but now even more so. I’m from NZ and used Roundup 40yrs ago in Rose crop production. Having seen its use in Canada I have become aware its used in NZ in a number of ways on food crops namely potatoes hay silage but I’m uncertain about its use on maize barley wheat and oats here yet. I would be interested to know if any research has been done on beers porridge milk etc. Thankyou. It would be interesting to start a world wide list of all the organic brands of flour by country.